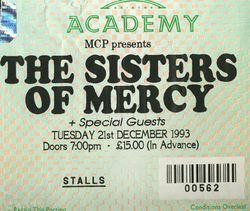 Part of The Sisters of Mercy's Overbombing Tour in 1993. 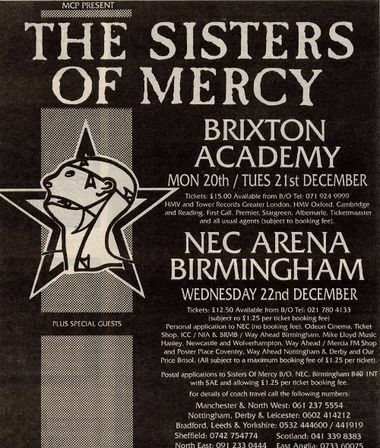 Support act: La Costa Rasa. see for example Dark Christmas In London. This page was last modified on 8 March 2019, at 04:39.